The VPN is full (Virtual Private Network). It creates a secure connection between you and other networks on the Internet. Most people use VPN primarily to access sites based proceeding site-based blocking, to protect the information, and to avoid tracing yourself while browsing the sensitive content. Nowadays VPN use is very popular. But now many people use VPN due to which VPN was not born. VPN was built to secure business and commercial private networks securely.VPN forwards your network traffic to another network. Almost all operating systems have built-in VPN support. How can VPN help you? 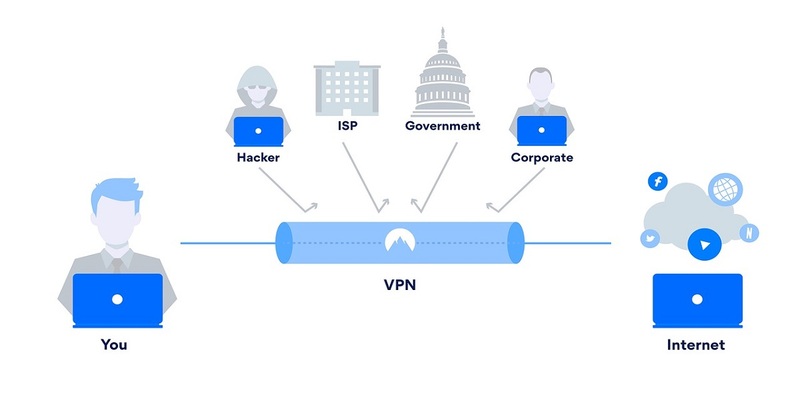 When you connect your device to VPN, it connects itself to another computer (on the server) and creates a secret road or tunnel for your communication with the Internet. Your Internet Service Provider (ISP) explains the presence of this tunnel but can not access it. As a result, the ISP will not be able to know which sites you are browsing or what data you are passing. Thou can also browse through a VPN site in your country or ISP. And all these data is encrypted when using VPN. Video and Audio streaming sites allow you to browse specific content for a particular country from any country through Virtual Private Network (VPN). For example, you can not listen to songs from Sitifay sites in Bangladesh. 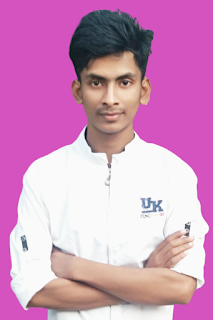 But if you want to connect the VPN to the server of the IP or any other country where there is a service of SPECT, you can also use the Speedy Service in Bangladesh. If you use a free Wi-Fi hotspot on the public place, then your browsing data may be traced to other people in the network if he is an expert on this. In this case, you will save virtual private networks (VPN). If you connect via VPN, someone connects to your WiFi connection or even your ISP itself will only see a private network. All the data that is being passed in will not be accessible. VPN will give you the advantage if you want to use the Internet to keep your real location hidden from tracking different websites. You might also know that many sites are blocked in China officially (even Facebook). The Chinese are using VPN if both are needed to browse those sites and get connected to the entire internet. You can use a VPN to avoid tracing files from torrents. Even if you download and download the right torrent, your ISP may slow down your connection due to high traffic. In that case, the VPN can save you from the trace. The security issue in the virtual world is unclear. Nothing is completely safe. But common people believe in popular VPN service providers in the market. Again, it is not too bad to have a VPN network that is created - although in many cases it may seem "more than typing". It does not have the risk of losing your data from unscrupulous or compromised VPN networks. Many companies read about giving free unlimited VPN, which can be seen as a trap if not understood. So there will be Careful. If thou are very careful about your online lifespan, you can use it as a VPN server itself. But most people use different third-party services to avoid trouble. You can safely use the best-rated services among these. Most providers have free and paid, two types of VPN plans. Sometimes the free plan will be enough for you if using a VPN. And if you have to use regularly in the office or business, you can take a good payment plan. The paid plan generally does not contain advertisements and the server has more and more speed. Apart from this, more facilities are available on the paid plan. Almost all VPN providers have a desktop, Android, iOS apps and browser extensions to access the virtual private network. These are usually cross-platform services. It is also very easy to use. Just go to their site and sign up. Some popular VPN providers are Samsung Max (Free), Express VPN, TunnelBeer, hotspot shield, etc. You can get a list of many services by typing VPN on Google or in your device's App Store, from which you can see the reliability of users, views, reviews, and ratings. Besides, you will also get free Unlimited VPN in the Opera desktop browser.